Find out which rendition of the pre-owned Mercedes-Benz GLE SUV is the right one for you and your passengers near Merced at Mercedes-Benz of Modesto. CARFAX 1-Owner, Mercedes-Benz Certified, Superb Condition. JUST REPRICED FROM $41,991. Nav System, Moonroof, Heated Seats, Hitch AND MORE! KEY FEATURES INCLUDE Full-Time 4MATIC All-Wheel Drive, Power Liftgate, Heated Driver Seat, Onboard Communications System, Dual Zone A/C. Rear Spoiler, Flex Fuel, Remote Trunk Release, Privacy Glass, Child Safety Locks. OPTION PACKAGES PREMIUM PACKAGE Radio: COMAND System w/Navigation, 8 high resolution LCD screen w/3D map views, enhanced voice control system, 10GB music register, single disc CD/DVD player, Gracenote album information including cover art, SD card slot, SiriusXM traffic and SiriusXM weather w/, 115V AC Power Outlet, Single DVD Player, KEYLESS-GO, SIRIUS XM Satellite Radio, SiriusXM real-time traffic and SiriusXM weather (w/), Navigation Updates For 3 Years, Region Coding, POWER TILT/SLIDING PANORAMA SUNROOF, WHEELS: 20 5-SPOKE Tires: P265/45R20, TRAILER HITCH 7200 lbs Class III towing capacity. Mercedes-Benz GLE 350 with Palladium Silver Metallic exterior and Crystal Grey/Black interior features a V6 Cylinder Engine with 302 HP at 6500 RPM*. Serviced here, Non-Smoker vehicle, Originally bought here. VEHICLE REVIEWS Regardless of what's under the hood, we found all models of the GLE comfortable and easy to drive, whether on a high-speed trip or a jaunt to the market. -KBB.com. A GREAT VALUE Reduced from $41,991. This GLE 350 is priced $1,600 below Kelley Blue Book. SHOP WITH CONFIDENCE CARFAX 1-Owner Balance of New Car Warranty plus 1 year/unlimited miles extended Limited Warranty, 24-Hour Roadside Assistance, Carfax Vehicle History Report, NO Deductible, Rigorous Inspection by Factory Certified Technicians OUR OFFERINGS Mercedes-Benz of Modesto in Modesto Pricing analysis performed on 4/15/2019. Horsepower calculations based on trim engine configuration. Please confirm the accuracy of the included equipment by calling us prior to purchase.CARFAX 1-Owner, Mercedes-Benz Certified, Superb Condition. JUST REPRICED FROM $41,991. Nav System, Moonroof, Heated Seats, Hitch AND MORE! CARFAX 1-Owner, Superb Condition, Mercedes-Benz Certified. GLE 350 trim. JUST REPRICED FROM $39,991. Navigation, Moonroof, Heated Seats. CLICK ME! KEY FEATURES INCLUDE Sunroof, Full-Time 4MATIC All-Wheel Drive, Power Liftgate, Heated Driver Seat, Onboard Communications System. Rear Spoiler, Flex Fuel, Remote Trunk Release, Privacy Glass, Child Safety Locks. OPTION PACKAGES PREMIUM PACKAGE Radio: COMAND System w/Navigation, 8 high resolution LCD screen w/3D map views, enhanced voice control system, 10GB music register, single disc CD/DVD player, Gracenote album information including cover art, SD card slot, SiriusXM traffic and SiriusXM weather w/, 115V AC Power Outlet, Single DVD Player, KEYLESS-GO, SIRIUS XM Satellite Radio, SiriusXM real-time traffic and SiriusXM weather (w/), Navigation Updates For 3 Years, Region Coding, BRUSHED ALUMINUM RUNNING BOARDS, ILLUMINATED STAR. Mercedes-Benz GLE 350 with Black exterior and Black interior features a V6 Cylinder Engine with 302 HP at 6500 RPM*. Serviced here, Non-Smoker vehicle. EXPERTS REPORT KBB.com's review says Regardless of what's under the hood, we found all models of the GLE comfortable and easy to drive, whether on a high-speed trip or a jaunt to the market.. EXCELLENT VALUE Reduced from $39,991. BUY WITH CONFIDENCE CARFAX 1-Owner Balance of New Car Warranty plus 1 year/unlimited miles extended Limited Warranty, 24-Hour Roadside Assistance, Carfax Vehicle History Report, NO Deductible, Rigorous Inspection by Factory Certified Technicians MORE ABOUT US Mercedes-Benz of Modesto in Modesto, CA treats the needs of each individual customer with paramount concern. We know that you have high expectations Pricing analysis performed on 4/15/2019. Horsepower calculations based on trim engine configuration. Please confirm the accuracy of the included equipment by calling us prior to purchase.CARFAX 1-Owner, Superb Condition, Mercedes-Benz Certified. GLE 350 trim. JUST REPRICED FROM $39,991. Navigation, Moonroof, Heated Seats. CLICK ME! CARFAX 1-Owner, Superb Condition, Mercedes-Benz Certified, LOW MILES - 40,989! WAS $40,991. Nav System, Moonroof, Heated Seats SEE MORE! KEY FEATURES INCLUDE Sunroof, Full-Time 4MATIC All-Wheel Drive, Power Liftgate, Heated Driver Seat, Onboard Communications System Rear Spoiler, Flex Fuel, Remote Trunk Release, Privacy Glass, Child Safety Locks. OPTION PACKAGES PREMIUM PACKAGE Radio: COMAND System w/Navigation, 8 high resolution LCD screen w/3D map views, enhanced voice control system, 10GB music register, single disc CD/DVD player, Gracenote album information including cover art, SD card slot, SiriusXM traffic and SiriusXM weather w/, 115V AC Power Outlet, Single DVD Player, KEYLESS-GO, SIRIUS XM Satellite Radio, SiriusXM real-time traffic and SiriusXM weather (w/), Navigation Updates For 3 Years, Region Coding, harman/kardon LOGIC 7 SURROUND SOUND SYSTEM, BRUSHED ALUMINUM RUNNING BOARDS, TRAILER HITCH 7200 lbs Class III towing capacity, HEATED MULTIFUNCTION STEERING WHEEL. Mercedes-Benz GLE 350 with Polar White exterior and Black interior features a V6 Cylinder Engine with 302 HP at 6500 RPM*. Serviced here, Non-Smoker vehicle. EXPERTS REPORT Regardless of what's under the hood, we found all models of the GLE comfortable and easy to drive, whether on a high-speed trip or a jaunt to the market. -KBB.com. EXCELLENT VALUE Was $40,991. This GLE 350 is priced $1,000 below Kelley Blue Book. BUY WITH CONFIDENCE CARFAX 1-Owner Balance of New Car Warranty plus 1 year/unlimited miles extended Limited Warranty, 24-Hour Roadside Assistance, Carfax Vehicle History Report, NO Deductible, Rigorous Inspection by Factory Certified Technicians WHY BUY FROM US Mercedes-Benz of Modesto in Modesto Pricing analysis performed on 4/15/2019. Horsepower calculations based on trim engine configuration. Please confirm the accuracy of the included equipment by calling us prior to purchase.CARFAX 1-Owner, Superb Condition, Mercedes-Benz Certified, LOW MILES - 40,989! WAS $40,991. Nav System, Moonroof, Heated Seats SEE MORE! Sunroof, Full-Time 4MATIC All-Wheel Drive, Power Liftgate, Heated Driver Seat, Onboard Communications System Rear Spoiler, Flex Fuel, Remote Trunk Release, Privacy Glass, Child Safety Locks. PREMIUM PACKAGE Radio: COMAND System w/Navigation, 8 high resolution LCD screen w/3D map views, enhanced voice control system, 10GB music register, single disc CD/DVD player, Gracenote album information including cover art, SD card slot, SiriusXM traffic and SiriusXM weather w/, 115V AC Power Outlet, Single DVD Player, KEYLESS-GO, SIRIUS XM Satellite Radio, SiriusXM real-time traffic and SiriusXM weather (w/), Navigation Updates For 3 Years, Region Coding, harman/kardon LOGIC 7 SURROUND SOUND SYSTEM, BRUSHED ALUMINUM RUNNING BOARDS, TRAILER HITCH 7200 lbs Class III towing capacity, HEATED MULTIFUNCTION STEERING WHEEL. Mercedes-Benz GLE 350 with Polar White exterior and Black interior features a V6 Cylinder Engine with 302 HP at 6500 RPM*. Serviced here, Non-Smoker vehicle. Was $40,991. This GLE 350 is priced $1,000 below Kelley Blue Book. Superb Condition, CARFAX 1-Owner, Mercedes-Benz Certified, GREAT MILES 36,102! WAS $39,991. Navigation, Heated Seats, Sunroof AND MORE! KEY FEATURES INCLUDE Full-Time 4MATIC All-Wheel Drive, Power Liftgate, Heated Driver Seat, Onboard Communications System, Aluminum Wheels. Rear Spoiler, Flex Fuel, Remote Trunk Release, Privacy Glass, Steering Wheel Controls. OPTION PACKAGES PREMIUM PACKAGE Radio: COMAND System w/Navigation, 8 high resolution LCD screen w/3D map views, enhanced voice control system, 10GB music register, single disc CD/DVD player, Gracenote album information including cover art, SD card slot, SiriusXM traffic and SiriusXM weather w/, 115V AC Power Outlet, Single DVD Player, KEYLESS-GO, SIRIUS XM Satellite Radio, SiriusXM real-time traffic and SiriusXM weather (w/), Navigation Updates For 3 Years, Region Coding, LIGHTING PACKAGE Adaptive Highbeam Assist, LED Dynamic Headlamps, PARKING ASSIST PACKAGE Parking Package, Surround View Camera System, PARKTRONIC w/Active Parking Assist, POWER TILT/SLIDING PANORAMA SUNROOF, harman/kardon LOGIC 7 SURROUND SOUND SYSTEM, BRUSHED ALUMINUM RUNNING BOARDS, ILLUMINATED SIDE RUNNING BOARDS, TRAILER HITCH 7200 lbs Class III towing capacity. Mercedes-Benz GLE 350 with Steel Gray Metallic exterior and Black interior features a V6 Cylinder Engine with 302 HP at 6500 RPM*. Serviced here, Non-Smoker vehicle. EXPERTS ARE SAYING KBB.com explains Regardless of what's under the hood, we found all models of the GLE comfortable and easy to drive AFFORDABLE TO OWN Reduced from $39,991. SHOP WITH CONFIDENCE Balance of New Car Warranty plus 1 year/unlimited miles extended Limited Warranty, 24-Hour Roadside Assistance, Carfax Vehicle History Report, NO Deductible, Rigorous Inspection by Factory Certified Technicians Pricing analysis performed on 4/15/2019. Horsepower calculations based on trim engine configuration. Please confirm the accuracy of the included equipment by calling us prior to purchase.Superb Condition, CARFAX 1-Owner, Mercedes-Benz Certified, GREAT MILES 36,102! WAS $39,991. Navigation, Heated Seats, Sunroof AND MORE! Full-Time 4MATIC All-Wheel Drive, Power Liftgate, Heated Driver Seat, Onboard Communications System, Aluminum Wheels. Rear Spoiler, Flex Fuel, Remote Trunk Release, Privacy Glass, Steering Wheel Controls. PREMIUM PACKAGE Radio: COMAND System w/Navigation, 8 high resolution LCD screen w/3D map views, enhanced voice control system, 10GB music register, single disc CD/DVD player, Gracenote album information including cover art, SD card slot, SiriusXM traffic and SiriusXM weather w/, 115V AC Power Outlet, Single DVD Player, KEYLESS-GO, SIRIUS XM Satellite Radio, SiriusXM real-time traffic and SiriusXM weather (w/), Navigation Updates For 3 Years, Region Coding, LIGHTING PACKAGE Adaptive Highbeam Assist, LED Dynamic Headlamps, PARKING ASSIST PACKAGE Parking Package, Surround View Camera System, PARKTRONIC w/Active Parking Assist, POWER TILT/SLIDING PANORAMA SUNROOF, harman/kardon LOGIC 7 SURROUND SOUND SYSTEM, BRUSHED ALUMINUM RUNNING BOARDS, ILLUMINATED SIDE RUNNING BOARDS, TRAILER HITCH 7200 lbs Class III towing capacity. Mercedes-Benz GLE 350 with Steel Gray Metallic exterior and Black interior features a V6 Cylinder Engine with 302 HP at 6500 RPM*. Serviced here, Non-Smoker vehicle. Mercedes-Benz Certified, CARFAX 1-Owner, Excellent Condition. PRICE DROP FROM $58,991. GLE 350 trim. Moonroof, Heated Seats, Navigation AND MORE! KEY FEATURES INCLUDE Sunroof, Full-Time 4MATIC All-Wheel Drive, Power Liftgate, Heated Driver Seat, iPod/MP3 Input. Rear Spoiler, Privacy Glass, Remote Trunk Release, Child Safety Locks, Steering Wheel Controls. OPTION PACKAGES PREMIUM 1 PACKAGE DVD Player, Lane Keeping Assist, Apple CarPlay, Smartphone Integration (14U), Navigation Updates For 3 Years, Region Coding, Radio: COMAND Navigation, 8 color display, 115V AC Power Outlet, KEYLESS-GO, Android Auto, Lane Tracking Package, Blind Spot Assist, SiriusXM Satellite Radio, PARKING ASSIST PACKAGE Parking Package, Surround View System, Parking Pilot, harman/kardon LOGIC 7 SURROUND SOUND SYSTEM, ILLUMINATED STAR, HEATED STEERING WHEEL. Mercedes-Benz GLE 350 with designo Cardinal Red Metallic exterior and Ginger Beige/Espresso interior features a V6 Cylinder Engine with 302 HP at 6500 RPM*. Serviced here, Non-Smoker vehicle, Originally bought here. EXPERTS RAVE Edmunds.com explains Steering is responsive, and the GLE tracks straight and true. The GLE excels on the highway and is quick to accelerate when you need it.. A GREAT TIME TO BUY Reduced from $58,991. BUY WITH CONFIDENCE Balance of New Car Warranty plus 1 year/unlimited miles extended Limited Warranty, 24-Hour Roadside Assistance, Carfax Vehicle History Report, NO Deductible, Rigorous Inspection by Factory Certified Technicians MORE ABOUT US Mercedes-Benz of Modesto in Modesto, CA treats the needs of each individual customer with paramount concern. We know that you have high expectations Pricing analysis performed on 4/19/2019. Horsepower calculations based on trim engine configuration. Please confirm the accuracy of the included equipment by calling us prior to purchase.Mercedes-Benz Certified, CARFAX 1-Owner, Excellent Condition. PRICE DROP FROM $58,991. GLE 350 trim. Moonroof, Heated Seats, Navigation AND MORE! Sunroof, Full-Time 4MATIC All-Wheel Drive, Power Liftgate, Heated Driver Seat, iPod/MP3 Input. Rear Spoiler, Privacy Glass, Remote Trunk Release, Child Safety Locks, Steering Wheel Controls. PREMIUM 1 PACKAGE DVD Player, Lane Keeping Assist, Apple CarPlay, Smartphone Integration (14U), Navigation Updates For 3 Years, Region Coding, Radio: COMAND Navigation, 8 color display, 115V AC Power Outlet, KEYLESS-GO, Android Auto, Lane Tracking Package, Blind Spot Assist, SiriusXM Satellite Radio, PARKING ASSIST PACKAGE Parking Package, Surround View System, Parking Pilot, harman/kardon LOGIC 7 SURROUND SOUND SYSTEM, ILLUMINATED STAR, HEATED STEERING WHEEL. Mercedes-Benz GLE 350 with designo Cardinal Red Metallic exterior and Ginger Beige/Espresso interior features a V6 Cylinder Engine with 302 HP at 6500 RPM*. Serviced here, Non-Smoker vehicle, Originally bought here. Mercedes-Benz Certified, Excellent Condition, CARFAX 1-Owner, GREAT MILES 7,964! Nav System, Moonroof, Heated Seats, Power Liftgate SEE MORE! KEY FEATURES INCLUDE Sunroof, Full-Time 4MATIC All-Wheel Drive, Power Liftgate, Heated Driver Seat, iPod/MP3 Input Rear Spoiler, Remote Trunk Release, Privacy Glass, Child Safety Locks, Steering Wheel Controls. OPTION PACKAGES PREMIUM 1 PACKAGE: DVD Player, Lane Keeping Assist, Apple CarPlay, Smartphone Integration (14U), Navigation Updates For 3 Years, Region Coding, Radio: COMAND Navigation, 8 color display, 115V AC Power Outlet, KEYLESS-GO, Android Auto, Lane Tracking Package, Blind Spot Assist, SiriusXM Satellite Radio, PARKING ASSIST PACKAGE: Parking Package, Surround View System, Parking Pilot, harman/kardon LOGIC 7 SURROUND SOUND SYSTEM, TRAILER HITCH, HEATED STEERING WHEEL. Mercedes-Benz GLE 350 with Lunar Blue Metallic exterior and Espresso Brown/Ginger Beige MB-Tex interior features a V6 Cylinder Engine with 302 HP at 6500 RPM*. Serviced here, Non-Smoker vehicle, Originally bought here. VEHICLE REVIEWS Steering is responsive, and the GLE tracks straight and true. The GLE excels on the highway and is quick to accelerate when you need it. -Edmunds.com. BUY WITH CONFIDENCE Balance of New Car Warranty plus 1 year/unlimited miles extended Limited Warranty, 24-Hour Roadside Assistance, Carfax Vehicle History Report, NO Deductible, Rigorous Inspection by Factory Certified Technicians MORE ABOUT US Mercedes-Benz of Modesto in Modesto, CA treats the needs of each individual customer with paramount concern. We know that you have high expectations Pricing analysis performed on 4/19/2019. Horsepower calculations based on trim engine configuration. Please confirm the accuracy of the included equipment by calling us prior to purchase.Mercedes-Benz Certified, Excellent Condition, CARFAX 1-Owner, GREAT MILES 7,964! Nav System, Moonroof, Heated Seats, Power Liftgate SEE MORE! Sunroof, Full-Time 4MATIC All-Wheel Drive, Power Liftgate, Heated Driver Seat, iPod/MP3 Input Rear Spoiler, Remote Trunk Release, Privacy Glass, Child Safety Locks, Steering Wheel Controls. PREMIUM 1 PACKAGE: DVD Player, Lane Keeping Assist, Apple CarPlay, Smartphone Integration (14U), Navigation Updates For 3 Years, Region Coding, Radio: COMAND Navigation, 8 color display, 115V AC Power Outlet, KEYLESS-GO, Android Auto, Lane Tracking Package, Blind Spot Assist, SiriusXM Satellite Radio, PARKING ASSIST PACKAGE: Parking Package, Surround View System, Parking Pilot, harman/kardon LOGIC 7 SURROUND SOUND SYSTEM, TRAILER HITCH, HEATED STEERING WHEEL. Mercedes-Benz GLE 350 with Lunar Blue Metallic exterior and Espresso Brown/Ginger Beige MB-Tex interior features a V6 Cylinder Engine with 302 HP at 6500 RPM*. Serviced here, Non-Smoker vehicle, Originally bought here. Mercedes-Benz Certified, CARFAX 1-Owner, Superb Condition, LOW MILES - 21,088! PRICE DROP FROM $66,994. NAV, Sunroof, Heated Seats SEE MORE! KEY FEATURES INCLUDE Navigation, Full-Time 4MATIC All-Wheel Drive, Power Liftgate, Heated Driver Seat, Turbocharged Rear Spoiler, MP3 Player, Remote Trunk Release, Privacy Glass, Steering Wheel Controls. OPTION PACKAGES PREMIUM PACKAGE 115V AC Power Outlet, KEYLESS-GO, Lane Tracking Package Code, Lane Tracking Package, Blind Spot Assist, Lane Keeping Assist, Power Tilt/Sliding Panorama Sunroof, 2nd Seat Row Pass-Through, harman/kardon Logic 7 Surround Sound System, PARKING ASSIST PACKAGE Parking Assist Package (P44), Surround View Camera, PARKTRONIC w/Active Parking Assist, TRAILER HITCH 7200 lbs Class III towing capacity. Mercedes-Benz GLE 450 AMG with Black exterior and Black Leather interior features a V6 Cylinder Engine with 362 HP at 5500 RPM*. Serviced here, Non-Smoker vehicle. EXPERTS ARE SAYING KBB.com's review says Regardless of what's under the hood, we found all models of the GLE comfortable and easy to drive, whether on a high-speed trip or a jaunt to the market.. AFFORDABLE TO OWN Was $66,994. This GLE 450 AMG is priced $4,300 below Kelley Blue Book. 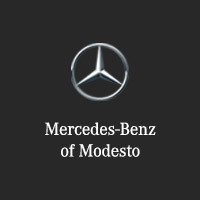 BUY WITH CONFIDENCE Balance of New Car Warranty plus 1 year/unlimited miles extended Limited Warranty, 24-Hour Roadside Assistance, Carfax Vehicle History Report, NO Deductible, Rigorous Inspection by Factory Certified Technicians VISIT US TODAY Mercedes-Benz of Modesto in Modesto, CA treats the needs of each individual customer with paramount concern. We know that you have high expectations Pricing analysis performed on 4/19/2019. Horsepower calculations based on trim engine configuration. Please confirm the accuracy of the included equipment by calling us prior to purchase.Mercedes-Benz Certified, CARFAX 1-Owner, Superb Condition, LOW MILES - 21,088! PRICE DROP FROM $66,994. NAV, Sunroof, Heated Seats SEE MORE! Navigation, Full-Time 4MATIC All-Wheel Drive, Power Liftgate, Heated Driver Seat, Turbocharged Rear Spoiler, MP3 Player, Remote Trunk Release, Privacy Glass, Steering Wheel Controls. PREMIUM PACKAGE 115V AC Power Outlet, KEYLESS-GO, Lane Tracking Package Code, Lane Tracking Package, Blind Spot Assist, Lane Keeping Assist, Power Tilt/Sliding Panorama Sunroof, 2nd Seat Row Pass-Through, harman/kardon Logic 7 Surround Sound System, PARKING ASSIST PACKAGE Parking Assist Package (P44), Surround View Camera, PARKTRONIC w/Active Parking Assist, TRAILER HITCH 7200 lbs Class III towing capacity. Mercedes-Benz GLE 450 AMG with Black exterior and Black Leather interior features a V6 Cylinder Engine with 362 HP at 5500 RPM*. Serviced here, Non-Smoker vehicle. Was $66,994. This GLE 450 AMG is priced $4,300 below Kelley Blue Book. Mercedes-Benz Certified, Excellent Condition, CARFAX 1-Owner. PRICE DROP FROM $61,991. Nav System, Moonroof, Heated Seats, Hitch CLICK ME! KEY FEATURES INCLUDE Full-Time 4MATIC All-Wheel Drive, Power Liftgate, Heated Driver Seat, iPod/MP3 Input, Onboard Communications System. Rear Spoiler, Privacy Glass, Remote Trunk Release, Steering Wheel Controls, Child Safety Locks. OPTION PACKAGES PREMIUM 1 PACKAGE DVD Player, Lane Keeping Assist, Apple CarPlay, Smartphone Integration (14U), Navigation Updates For 3 Years, Region Coding, Radio: COMAND Navigation, 8 color display, 115V AC Power Outlet, KEYLESS-GO, Android Auto, Lane Tracking Package, Blind Spot Assist, SiriusXM Satellite Radio, PARKING ASSIST PACKAGE Parking Package, Surround View System, Parking Pilot, PANORAMA SUNROOF, harman/kardon LOGIC 7 SURROUND SOUND SYSTEM, TRAILER HITCH. Mercedes-Benz GLE 350 with Selenite Grey Metallic exterior and Ginger Beige/Espresso interior features a V6 Cylinder Engine with 302 HP at 6500 RPM*. Serviced here, Non-Smoker vehicle, Originally bought here. EXPERTS REPORT Edmunds.com explains Steering is responsive, and the GLE tracks straight and true. The GLE excels on the highway and is quick to accelerate when you need it.. EXCELLENT VALUE Was $61,991. SHOP WITH CONFIDENCE Balance of New Car Warranty plus 1 year/unlimited miles extended Limited Warranty, 24-Hour Roadside Assistance, Carfax Vehicle History Report, NO Deductible, Rigorous Inspection by Factory Certified Technicians MORE ABOUT US Mercedes-Benz of Modesto in Modesto, CA treats the needs of each individual customer with paramount concern. We know that you have high expectations Pricing analysis performed on 4/19/2019. Horsepower calculations based on trim engine configuration. Please confirm the accuracy of the included equipment by calling us prior to purchase.Mercedes-Benz Certified, Excellent Condition, CARFAX 1-Owner. PRICE DROP FROM $61,991. Nav System, Moonroof, Heated Seats, Hitch CLICK ME! Full-Time 4MATIC All-Wheel Drive, Power Liftgate, Heated Driver Seat, iPod/MP3 Input, Onboard Communications System. Rear Spoiler, Privacy Glass, Remote Trunk Release, Steering Wheel Controls, Child Safety Locks. PREMIUM 1 PACKAGE DVD Player, Lane Keeping Assist, Apple CarPlay, Smartphone Integration (14U), Navigation Updates For 3 Years, Region Coding, Radio: COMAND Navigation, 8 color display, 115V AC Power Outlet, KEYLESS-GO, Android Auto, Lane Tracking Package, Blind Spot Assist, SiriusXM Satellite Radio, PARKING ASSIST PACKAGE Parking Package, Surround View System, Parking Pilot, PANORAMA SUNROOF, harman/kardon LOGIC 7 SURROUND SOUND SYSTEM, TRAILER HITCH. Mercedes-Benz GLE 350 with Selenite Grey Metallic exterior and Ginger Beige/Espresso interior features a V6 Cylinder Engine with 302 HP at 6500 RPM*. Serviced here, Non-Smoker vehicle, Originally bought here. Check Out the Pre-Owned Mercedes-Benz GLE SUV Today! Our dealership has convenient hours seven days a week, and you can reach us online or call us at (855) 474-0585 with any questions!